Garrett called my mom his “best Minecraft buddy” so the first Valentine’s goes out to her. They build all sorts of worlds on their iPads together when he visits her. It won’t be long before she gets the hang of the XBox controller and we don’t see them again for the rest of the year. If your kid or mom loves Minecraft as much as mine do, be sure to head over to Jamie’s blog to see the “Share the Love” series and get your free download of “You Are The Creeper of my Heart” Valentine’s! 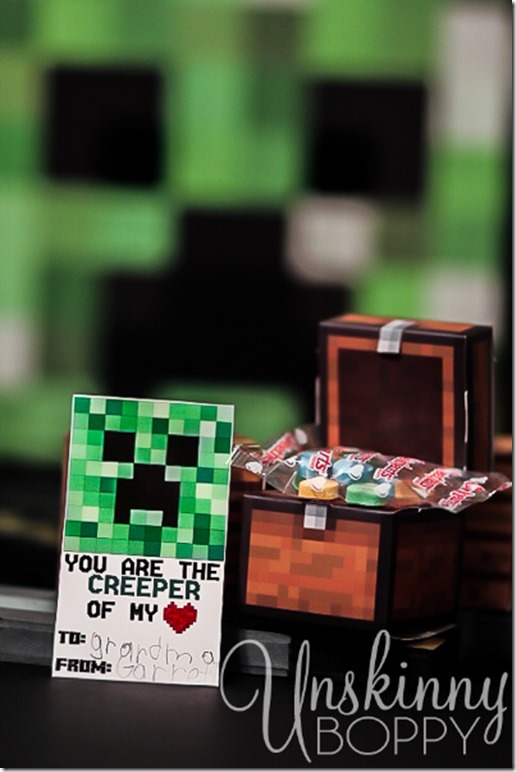 If you’re looking for more free Minecraft stuff– check out my free printable Minecraft magnets! I love your Valenmines 🙂 Thank you for sharing! And those Minecraft magnets are pretty cool too!